Current Position: PhD student at South China Botanical Garden, Chinese Academy of Sciences, Guangzhou, Guangdong. Also worked as a visiting student for 2 years in Chang-Jun Liu’s lab in Brookhaven National Laboratory, Upton, NY. Brief Bio: Currently, I’m a PhD candidate in Biochemistry and Molecular Biology as a major field of study. I have completed a bachelor degree in Food Quality and Safety. 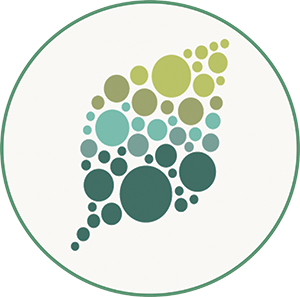 Though a substantial change in my field of study thereafter, it really made me feel satisfied and curious to explore further horizons of plant science at the molecular level. During the master study, my research work was based on prenyltransferase from Fusarium oxysporum. And my PhD research project is concerned mainly on anthocyanin biosynthesis, especially glycosylation in the fruit of Lycium ruthenicum Murr. (Black Goji berry), a traditional Chinese medicinal plant. From 2016 to 2018, I was a visiting student in Chang-Jun Liu’s lab at Brookhaven National Laboratory. The research experience really broadened my vision regarding compound synthesis in plants. 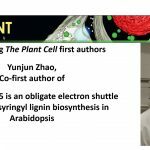 I had jointed in a project related to elucidate the protein complex involved in three main P450 enzymes in lignin biosynthesise in Arabidopsis thaliana. We found that a cytochrome b5 D isomer (CB5D), interacted with C3’H, C4H and F5H in Arabidopsis, but only affected S-lignin content. I conducted in vitro assay and showed that disrupting the gene for CB5D primarily impairs F5H activity. 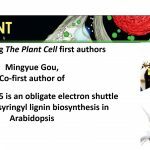 We concluded that cytochrome b5 is an obligate electron shuttle protein for syringyl lignin biosynthesis in Arabidopsis based on genetic and biochemical evidence.